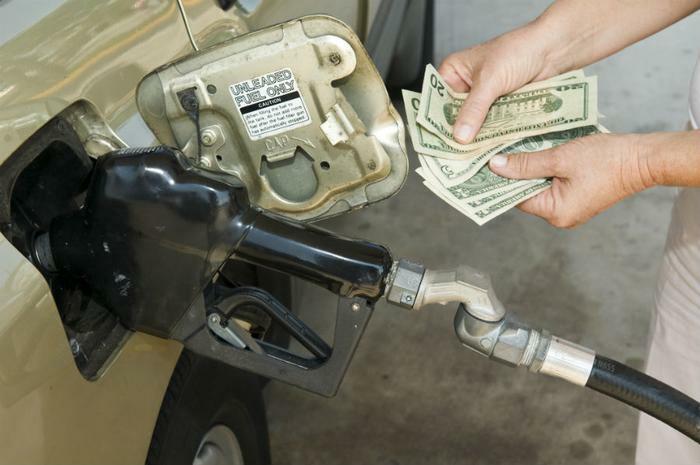 Motorists taking road trips for over the Memorial Day weekend will pay a lot more for gasoline than they did last year. The AAA Fuel Gauge Survey shows the average price of gas is nearly $2.97 cents a gallon, 60 cents a gallon more than at this time last year. The national average price of regular gas is up six cents a gallon in the last week and has gained 20 cents in the last month. The main reason for the increase has been a surge in the price of oil – the biggest in four years. Oil prices have increased because consumers are driving more and OPEC is producing less. Political turmoil in Venezuela has significantly reduced oil production in that petroleum-rich nation. With the U.S. pulling out of the Iran deal, oil traders are bidding up the price of oil on the expectation that less Iranian oil would be available. The price of oil exceeded $80 a barrel this week for the first time since 2014, making it more expensive for refiners to produce gasoline. Today, 14 states report an average of $3 a gallon or more. Outside of the typical West Coast states, Idaho, and Utah, this count includes six Northeast and Midwest states. Connecticut, Pennsylvania, New York, Washington, D.C., Illinois and Michigan have crossed that milestone, and, Arizona, New Jersey, and Rhode Island are all within four-cents of hitting the $3 mark. Gasbuddy predicts the skyrocketing price of fuel will keep more people at home this weekend, as well as during the summer. In its annual survey, Gasbuddy found only 58 percent said they will take a road trip this summer, a 24 percent decrease from last year. In the survey, 39 percent cited high gas prices as affecting their summer travel decisions, compared to 19 percent in 2017. But there is some good news. The pain at the pump may not last throughout the summer. “With refineries now well positioned for the summer months, we may see some relief in mid-June,” said Patrick DeHaan, head of petroleum analysis at GasBuddy. Even so, DeHaan says gas will be the highest since the summer of 2014, with the strong likelihood that the national average price will be well over $3 a gallon before it starts to fall. The price of oil has already begun to back off a bit. In something of a surprise, the Energy Information Administration reported this week that U.S. oil stockpiles jumped by 5.7 million barrels. Oil supplies are more than 78 million barrels higher than they were at this time last year.